This is the second model in the new X series from this premium Danish boat builder, following the sixty-foot X6, the prototype of which is due for launch in the next few weeks. The range is designed to fit between the company’s Xp range of performance cruiser-racers and the Xc line up of optimised long-distance cruisers. 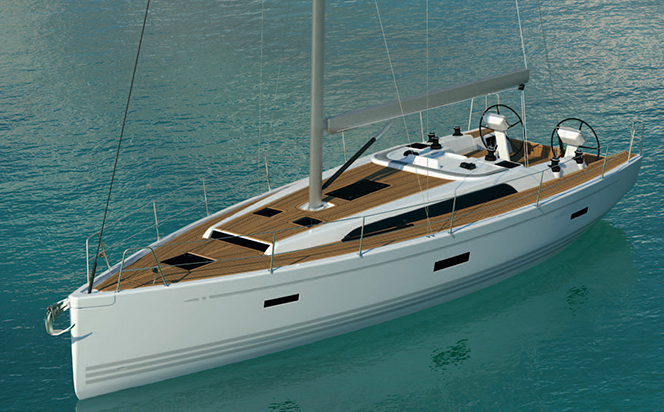 The X4 is an attractive 41-footer, that’s designed to offer as much interior and deck space as possible, without compromising the sailing qualities for which X-Yachts is renowned. Granted, it won’t be as quick as the equivalent model in the Xp range, though you can still expect more speed and better handling than the majority of the competition. 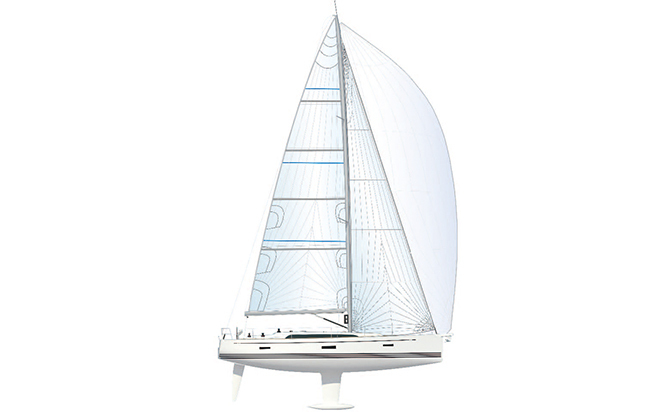 The entire hallmark X-Yacht features are incorporated in this design, including All X-Yachts normal features including an encapsulated lead keel, hydraulic backstay adjuster, discontinuous rod rigging and Spectre halyards as standard. Six generously sized winches handle the halyards and sheets. 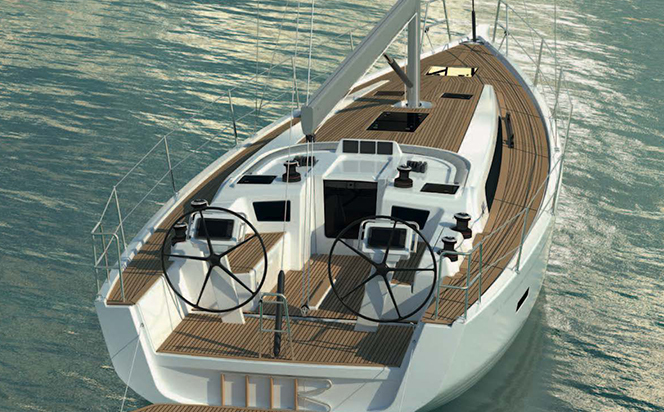 The deck design and layout would be perfect for sailing in the Mediterranean (or indeed the Baltic in summer), while also offering the potential for longer ocean voyaging, including trans-Atlantic passages. However, the boat is not as optimised for the latter purpose as the Xc range. Accommodation options include either two or three cabins and one or two heads. 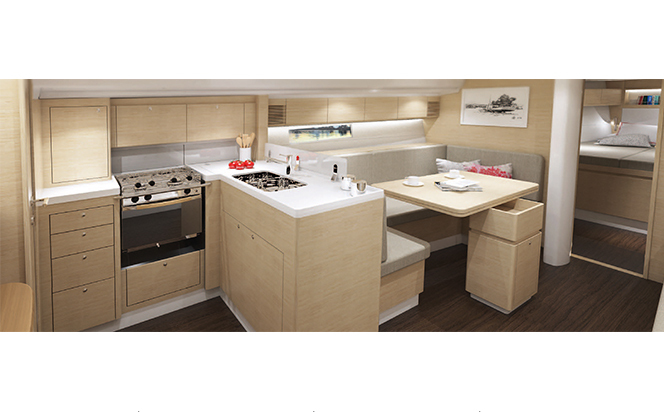 In all cases generous beam in the forward sections gives a larger than average owner’s cabin. Joinery is of a high standard, and much effort has been made to incorporate useable lockers, bookshelves and other stowage, while maintaining a stylish appearance. In this respect much has been transferred from the X6 model, which itself sought to create a distinctive high quality interior style inspired by those of larger custom-built yachts. Eleven fixed hull and deck port lights, along with a dozen opening deck hatches helps ensure maximum interior ventilation and light. A choice of three keels is offered, with the standard model having a torpedo bulb keel and draught of 2.2m. Shoal draught, deep draught and L-shape bulb keels are also offered. The prototype X4 is currently in production and will be launched in the summer of 2016.